Simple Rates. Easy Activation. 100% Guaranteed. A. Duie Pyle's reputation as being the best equipped for shipment integrity in the Northeast, combined with our guaranteed on-time service, means you can rely on our predictability for each and every shipment. With simple rates, Pyle Priority guarantees reliable service for your time-sensitive shipments. 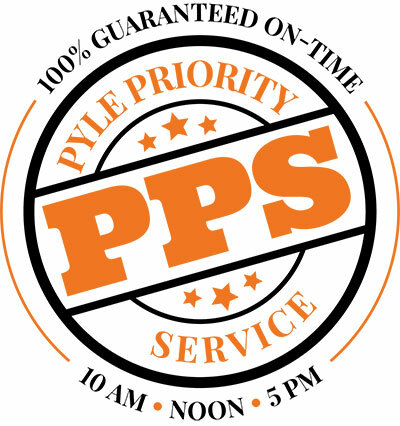 By 10AM, Noon, 5PM, or by your customized shipping parameters through our Pyle GEX (Guarantee Express) service, Pyle People Deliver on all of your Priority shipment needs. or add to your pickup request via My Pyle. for more information on our Pyle GEX service.